You are currently browsing the tag archive for the ‘Captain John Doswell’ tag. 2015, and what a year it’s been. It’s the year I learned I could handle more than I thought my limits were. It’s the year I learned to just to leap forward, eyes open, into the wind. It’s the year I was reminded all too often of how our time here is fleeting, and there isn’t a moment to waste. As the one year anniversary of Captain John Doswell’s passing approaches, I pause to think about his legacy and the work the WHC family has continued in his absence. 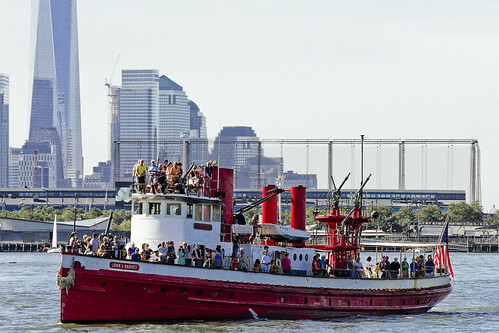 This year, we expanded our Hidden Harbor Tours, exploring more locations around our working harbor. 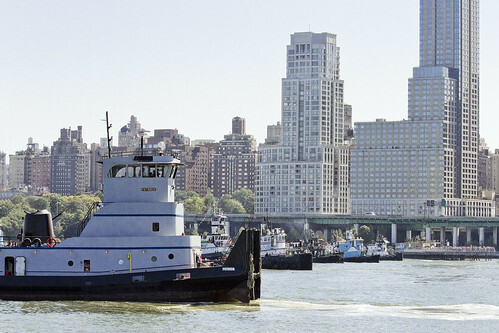 We hosted a Family Fun tour for kids and introduced hundreds of high school students to the opportunities and importance of the working waterfront on our education tours. 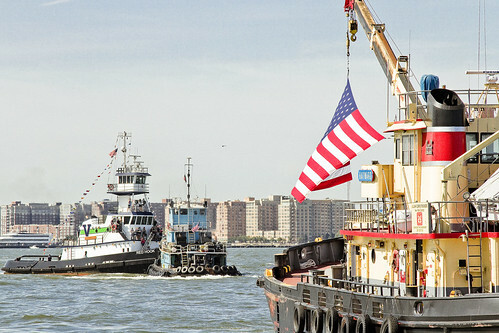 We had a blast at the tugboat race, with close to a thousand people in attendance to cheer on the mighty vessels. Did we do ok, Capt? I hope we’ve done you proud. I want to take this opportunity to thank my co-volunteers at the WHC, – an amazing group of smart, talented and dedicated people who give their time and expertise to help make it all happen. 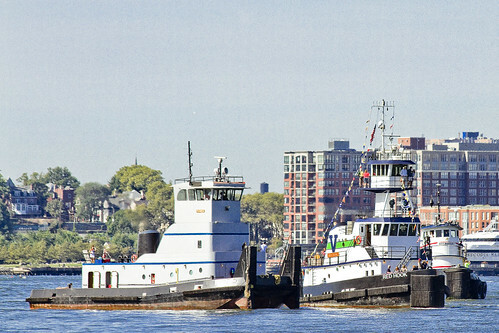 Please help support WHC with your tax-deductible donation – your donation goes towards funding the Working Harbor Committee’s mission to strengthen awareness of the working harbor’s history, vitality and importance today, and its opportunities for the future. 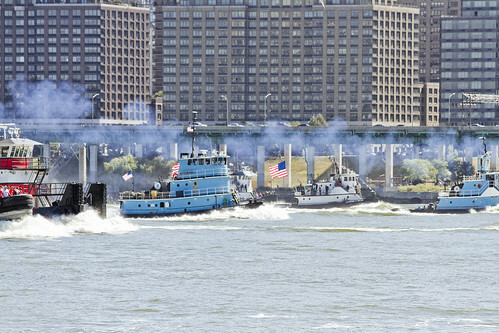 More Tugboat Race shots from our own WHC official photographer, Mitch Waxman, photographing from the Safety Boat for you to enjoy. 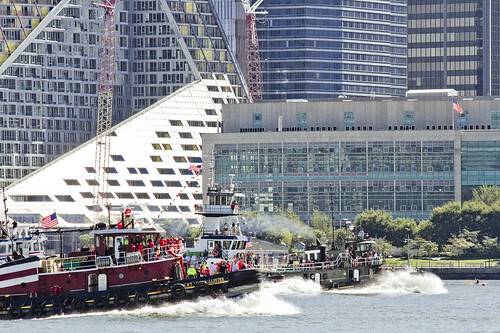 Kudos to anyone who can take photos from a small vessel during the Tugboat Race. 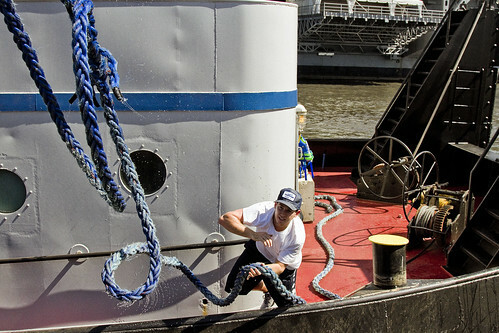 I tried doing that from a small vessel one year (Thanks Carter Craft! 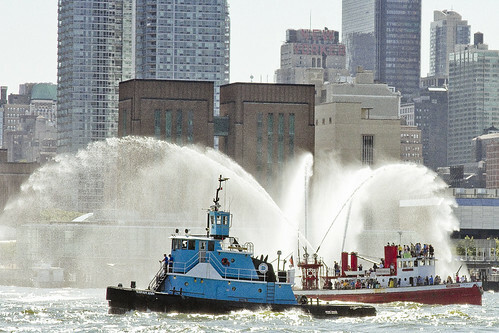 ), and let me just say – Serious WAKE! I spent more time holding on than taking pictures. 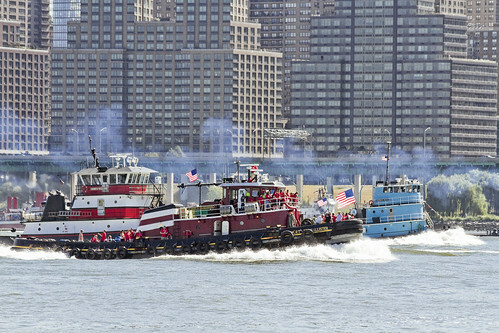 I’m not sure if many of you know, but come Tugboat Race day, we don’t even know exactly which tugs will be chugging up the North River to participate in the Big Race! 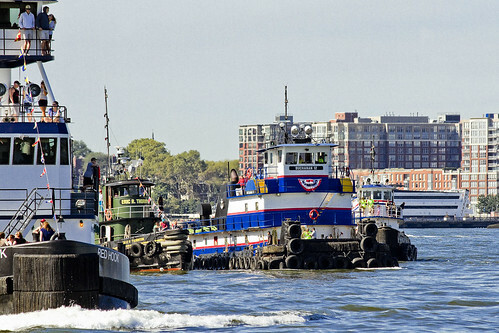 Of course everyone wants to be there, but since tugboats work around the clock, who can make it to the race, depends on work rosters and schedules. 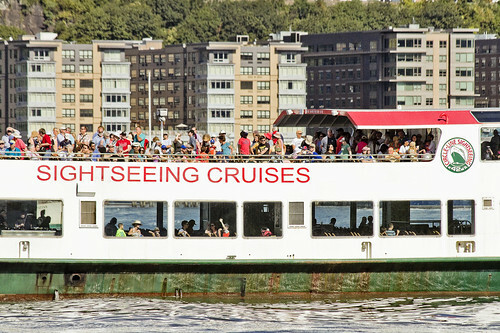 We eagerly scan the horizon to see who’s headed our way, just like all of you! 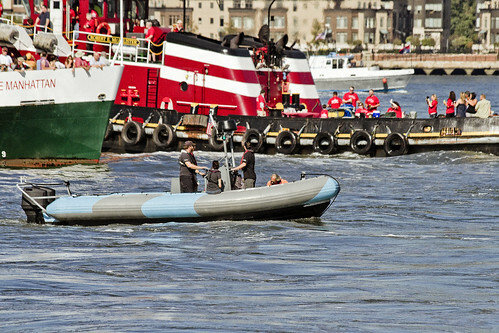 Check out the Spectator Boat, full of excited enthusiasts getting right in the midst of all the action! 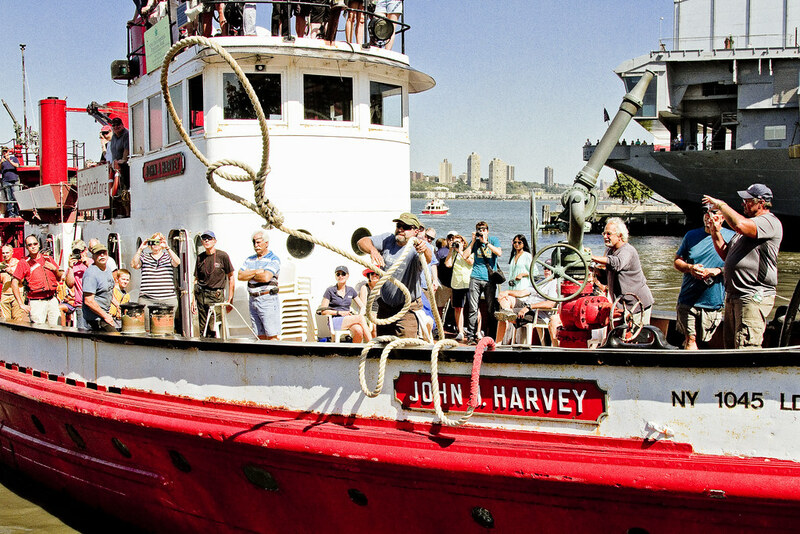 Fireboat John J Harvey arrives, all spiffied-up for the race, engines primed for speed. 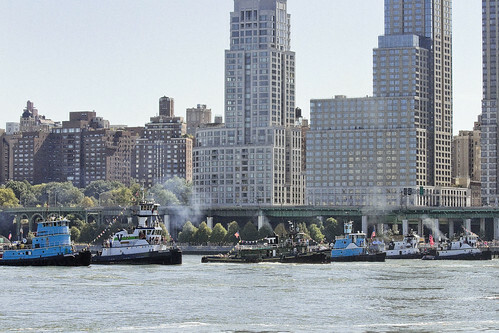 See how close the Spectator Boat is to… everything? 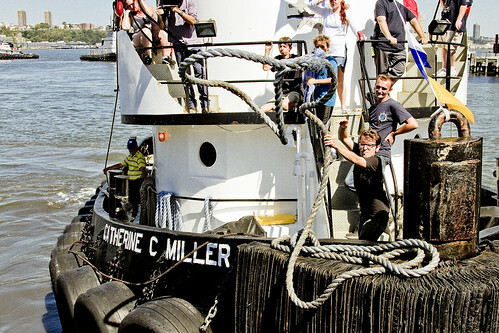 Orchestrating behind the scenes, Capt. 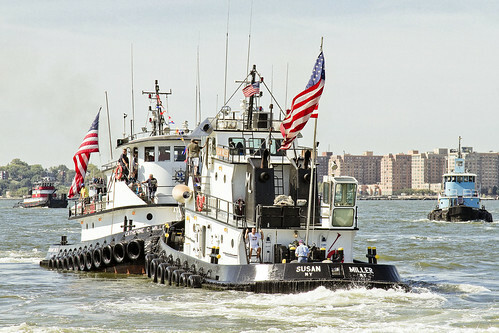 Maggie Flanagan and Nelson Chin muster the tugs for the Parade of Tugs up river to the start line. 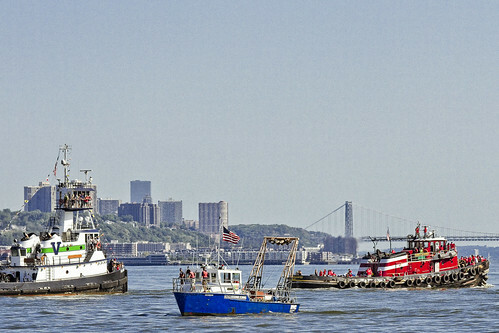 This capture of their precision alignment is testament to the Tug Captains skill! 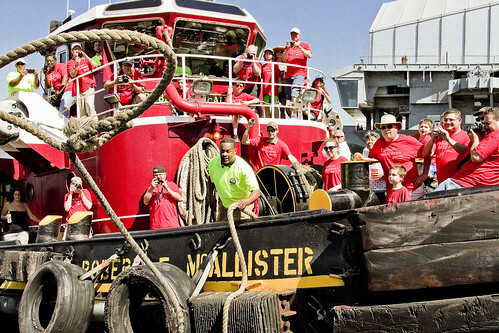 After the race, the tugs challenge each other in “Feats of Strength”. 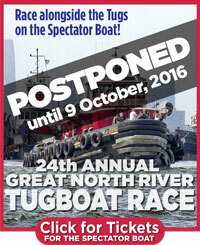 Even the Spectator Boat participated unofficially! 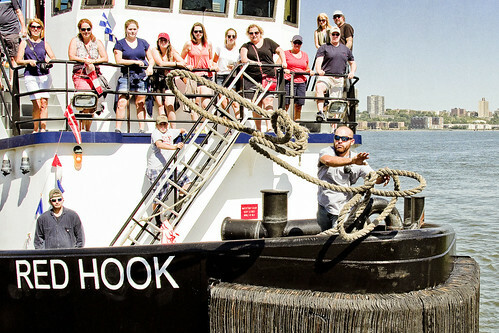 Followed by the Line-Toss – which is a LOT harder than it looks. It’s not just about brute strength, it also take some serious accuracy to snag that bollard in one toss. Right before the Award Ceremony, we made some NOISE for Capt. John Doswell. Thank you David Silver for the Video! A big Thank You to Mitch for all the beautiful photos and for photographing every WHC event (and donating the use of your images to WHC) for the past … has it been 6 years now… 7? Wow, time sure flies when you’re having fun!